Not going to take the win too early, but as of now no dinos turn up! Pretty sure the increased dosage of ZS3 has been the most contributing factor, along with larger water changes. Yesterday I added a C. Potteri, which I hope will become the centerpiece for the tank, one of my all time favorites. It's already out and about, looking very healthy and although not with a super large apetite, it's eating. Keep my fingers crossed that the Angel will not nip on your corals, glad to hear you get rid of the Dinos. I am very unfortunate to hear this news and feel sorry for you. On more positive news, Corals are looking healthier every day, although Montipora and Acro are still pale and colorless. On Thursday I’m scheduled to receive a shipment of acros to replace those that arrived dead in the last order. Will do some testing either tonight or tomorrow to confirm that all parameters are correct. The tank is running hot at the moment (could’ve been a contributing factor for the angel death) and that may be stressing corals a bit. We’re having a record hot summer here and the room which the tank is in is super hot, doing AC and fans but still having the tank go over 28 Celsius sometimes. This means that in the near future, you will make the tank bigger. Use a separate water cooler, huh. Glad to get a few more corals in the tank, and hopefully they’ll adapt nicely! 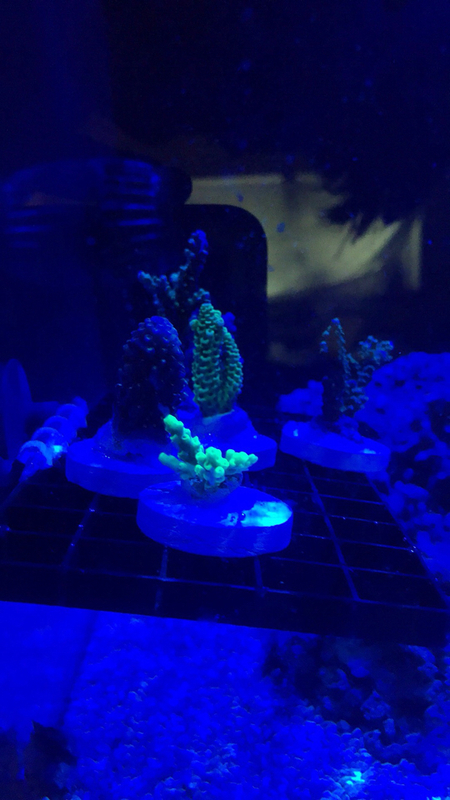 I replaced the frag plugs that the corals came on, with brand new plugs to be able to have them on the frag rack during acclimation, that way I can move them closer to the light. Just something I would personally not do immediately after a coral has been shipped is replacing the substrate immediately. The shipment itself including the high temperature has stressed the coral massive, replacing the plug and damage the tissue partial will cause additional stress. Might be better to give the corals some time before replacing the substrate. Thanks to Alexander and blackizzz, I have never noticed this problem, I have studied, thank you very much. Interesting observation! 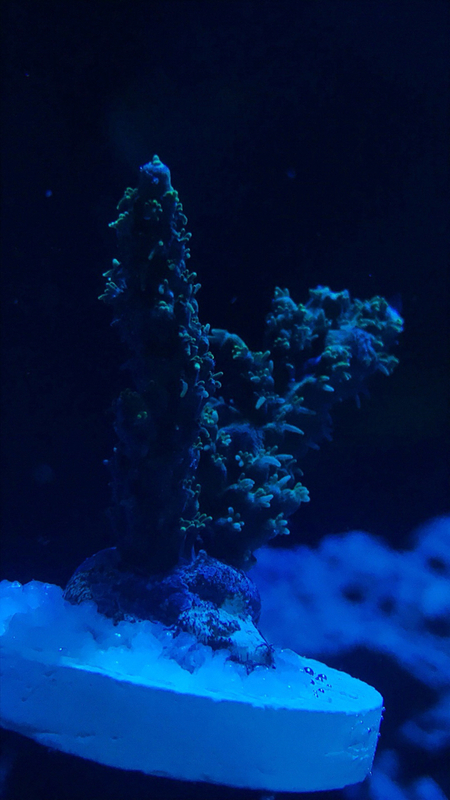 I used superglue gel, and keep something (glue or small piece of frag plug) as a safe guard for the coral, so no coral comes in contact with the glue. I do however have the same experience with using two part epoxy, the heat caused there is no good for a stressed coral. I have CV, AA, ZF7 at home, but considering ordering some other stuff to try out. CV I dosed sporadically until a few weeks ago, not exactly noticing any difference but some PE. AA I haven't tried yet. I'm experiencing coloration "issues", as most colors are light brown or very dull. Should I change anything in the dosage, or keep doing the basics only?